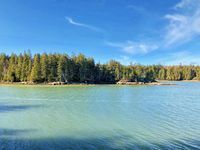 Property 12: Quiet Coastal getaway nestled in the trees behind a lobster pound. Property 21: Oceanside cottage with Spectacular views! Ledgeview Cottage. 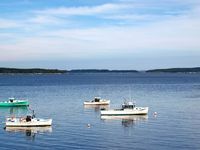 Property 24: Enjoy The Unspoiled Part Of Maine, The Way Life Used To Be. Property 25: Amazing Ocean View!!! Property 26: The Full-On Coastal Maine Experience! Property 27: Grand Marsh Bay most private waterfront home. Property 31: Luxurious Waterfront Home with view of Lighthouse. Spacious, modern, & private, with grand views from a hill-top location. Property 37: Spacious, modern, & private, with grand views from a hill-top location. Property 50: Very private oceanfront home with westerly views of Frenchman Bay & Acadia. The view was amazing and the house was very welcoming. Plenty of amenities to make a visitor feel right at home. The weather was favorable for a stroll to the shore evening on a cool Spring day. There was nothing more relaxing then waking up with the ocean at your feet! I highly recommend the Milbridge house and will attempt to go back when the warmer weather finally arrives. This home was absolutely perfect! The owners gave great attention to detail, from decor to amenities. This place was very secluded and peaceful. I would definitely rent from the homeowners again.